Happy 1st Birthday Kid Literature Authors! Not long after I started writing children’s books, I came across the Kid Literature Authors page on Facebook and joined the team as a contributor. 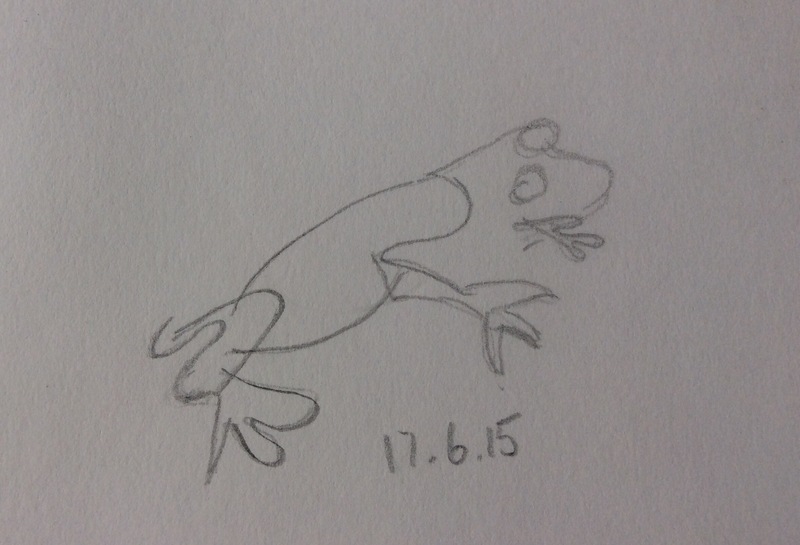 It’s been an exciting journey for the team seeing the page go from strength to strength. My own writing journey has also been an exciting echo of this success. Just over a year ago I had published two books – I now have double that number with the fourth book just published. 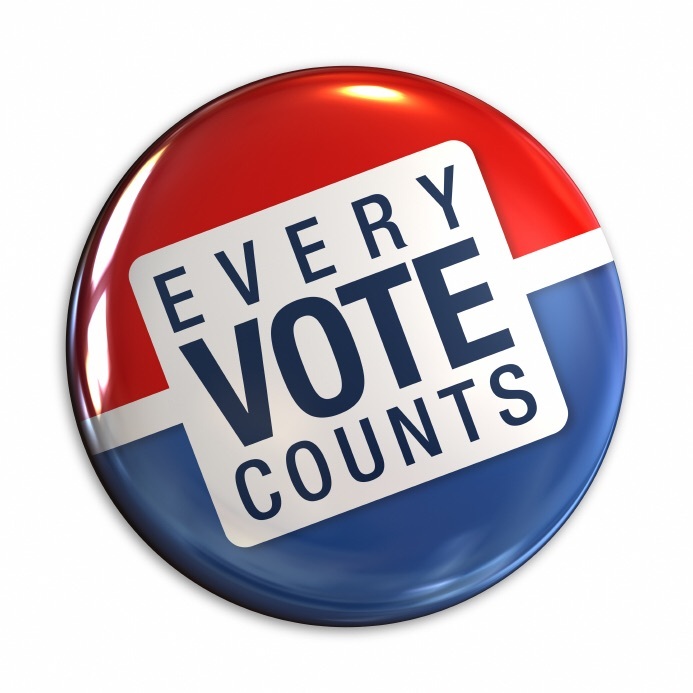 The first three all have Readers’ Favorite five star reviews and the first book, The Rise of Agnil, has been a finalist in The Wishing Shelf Independent Book Awards and is also a finalist in The People’s Book Prize. I’m sure the Kid Literature page will continue to do well, bringing together all of us who love children’s books and have a determination to do everything we can to increase an awareness of the importance of children’s reading. Wishing you and all your families a very Merry Christmas! On Saturday, Charlotte Moore, the illustrator of the Agnil’s Worlds series, and I had a bit of elvish fun when we went into Cambridge to commit a feat of derring-do (or should that be daring-do?). 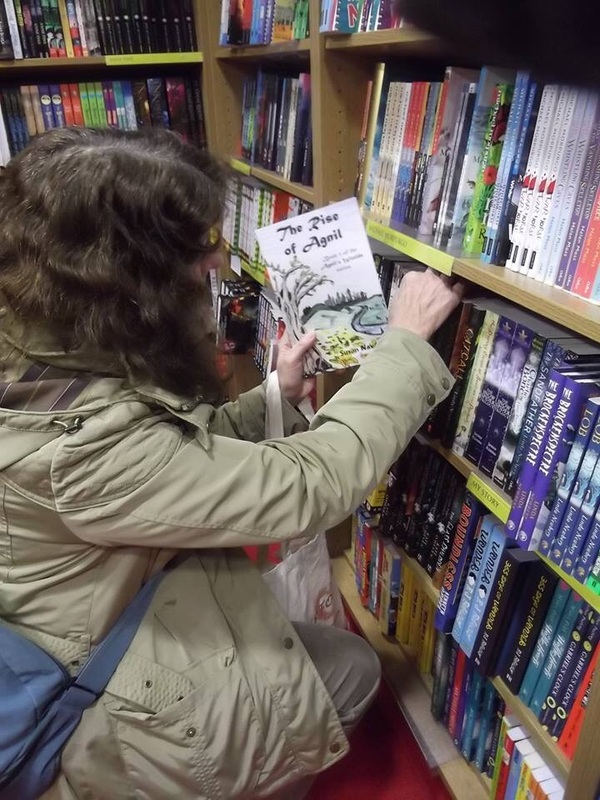 I secretly planted the copies of The Rise of Agnil on the shelves of two bookshops while Charlotte took photos. The Rise of Agnil has been available from Amazon since last December but so far can’t be bought from any high street bookshops. Photo bombing is when someone unexpectedly or unintentionally appears in a photograph. I called it a book bombing because I put the books somewhere they would not otherwise have been found. I wanted to highlight the difficulties faced by indie authors and publishers in getting their books stocked on the high street. If anyone wants the books I have planted they can have them for free. I will refund the price paid in the shop if the purchaser contacts me. Should children read the classics? I was recently involved in a discussion about which classic books children might love. I felt a little uncomfortable answering and I’ll explain why. As you probably know, until recently I was a primary school teacher and in many of our classrooms in Key Stage 2 we had a selection of the classics and they were hardly ever chosen by the children. Why is that? Times have changed. 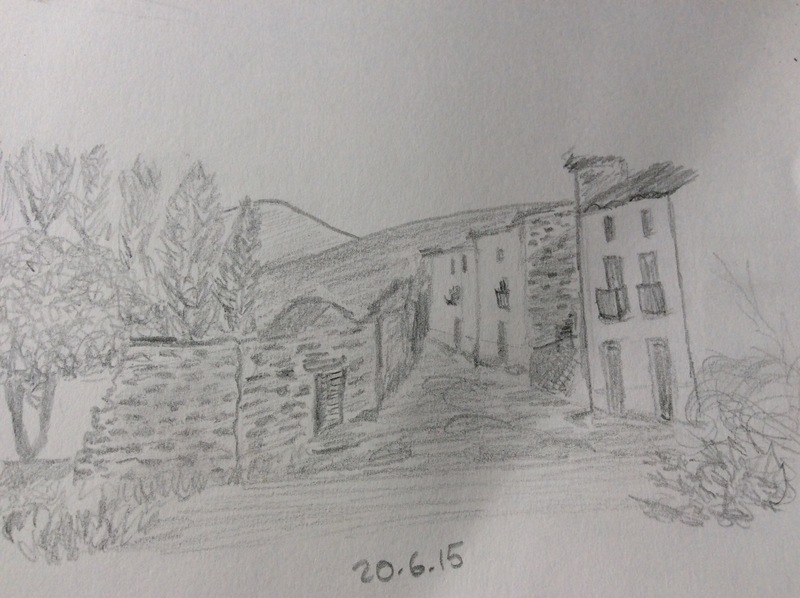 Firstly, the language in the classics is very old-fashioned and in some cases I would describe it as archaic. Language is a living thing, constantly changing, and these classics use words and phrases that children nowadays no longer use nor understand. If you ever find yourself reading an old book to a child, count how many times you have to stop and explain what something means. Stopping to explain is important so that the meaning is not lost but if you stop too often it will interrupt the flow of the story and the children may lose track of the plot. Children like books to be pacy and/or be humorous. They are surrounded by fast-paced media and like their books to be the same. The old classics tend to be wordier and slower in pace; they had a lot of leisure time to fill in those days with little else by way of entertainment. These days there are many other things that many children would rather be doing. If we want children to love reading we have to give them books that fit their world. Speaking of worlds, think about how much the world has changed in the last fifty years or so. Children then led quite different lives to now. Yes, we might feel a little sad at the passing of that world and it’s lovely to reminisce but we can’t pull back the past. Many of the classics portray a world they just can’t identify with. I’m going to partially exclude fantasy books from this, though. I learnt a valuable lesson last year. I read The Lion, The Witch and The Wardrobe to my class last year and, quite frankly, I was very concerned before I started reading it that they would find the book too old-fashioned. However, it’s a book I love and it fitted perfectly with the work we were doing with the children, so I was willing to give it a go. 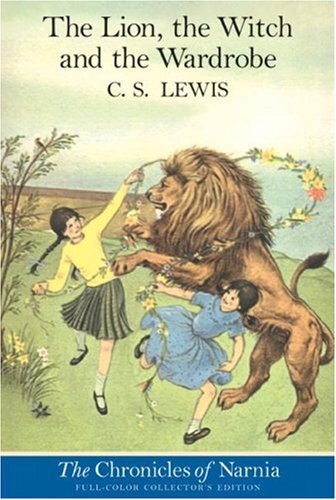 Yes, I had to stop and explain now the language now and again, but the beautiful fantasy world of Narnia that CS Lewis created is still as magical to today’s readers as it was to children who read it when it was first published. Fantasy seems to stand the test of time. So do the classics have no value at all for today’s younger generation? I’m not saying that at all. There are still ways they can enjoy those stories, if not in their original form. Look out for simplified versions of the books which children might find easier to digest. It may go against the grain for us to read them ourselves but at least they will have access to some of that wide and wonderful array of classic literature, and just maybe, they will be enticed to read the originals when they are more mature. Another way forward is to look at more modern classics. Children still adore the likes of Roald Dahl, for example, and my personal favourite is Matilda. There are many others too. Look for authors like Michael Morpurgo (Kensuke’s Kingdom) and Michelle Magorian (Goodnight, Mr Tom). But it’s good to also look out for lesser known authors; those without the marketing budgets of the big publishing houses behind them. 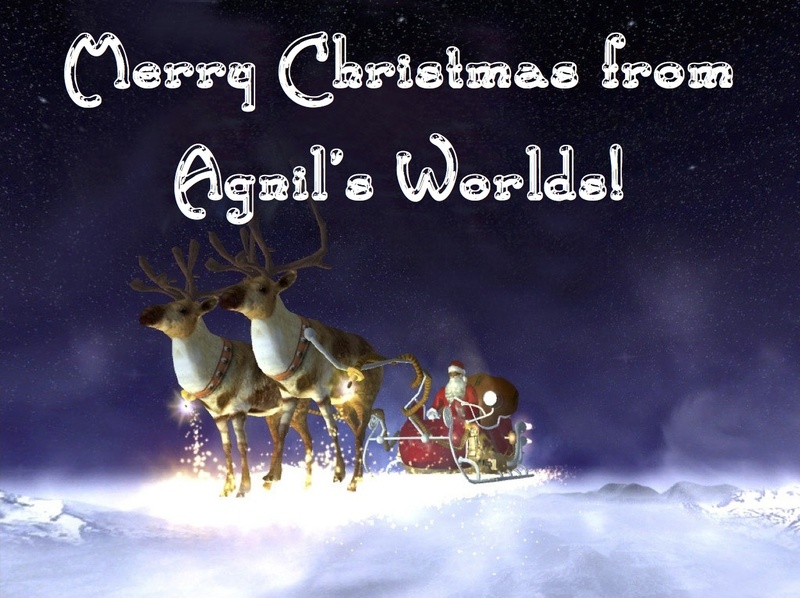 I know that you wouldn’t be reading this blog if you weren’t interested in the Agnil’s Worlds books, giving me, a relatively unknown author, a crack at giving children stories I hope they enjoy, and I am very grateful for that. Will the Agnil’s Worlds books stand the test of time and become classics? Who knows, they are fantasy books, after all. Thank you for sticking with me and enjoy the ride for now. Some exciting times are looming! So what’s a chocolate book blog? As I sit in the shade of my pergola on a glorious midsummer day, the air around me scented with jasmine, I’m worried that the chocolate on this blog post will melt! I’ve been passed the baton in a chocolate book blog tour by the lovely Karen Emma Hall, founder of the Kid Literature Authors group that I am involved with. You can read her chocolate book blog here. The challenge is to choose six books and six different varieties of chocolate that I feel are a good match for the books. Most of the chocolate book blogs I’ve read so far have focused on children’s books but I really wanted to include some books for adults too, so I’m going to break the mould a little. Perhaps the best known of all the Narnia books by this author, I suppose it was inevitable that I should include it here. After all, my own books fall into the same genre. But it’s more important to me than that to not miss this book out. The Chronicles of Narnia was the first book series that really enthralled me as a child and I was so bitterly disappointed when I got to the end of it that I searched the library high and low for any more books written by C.S. Lewis. 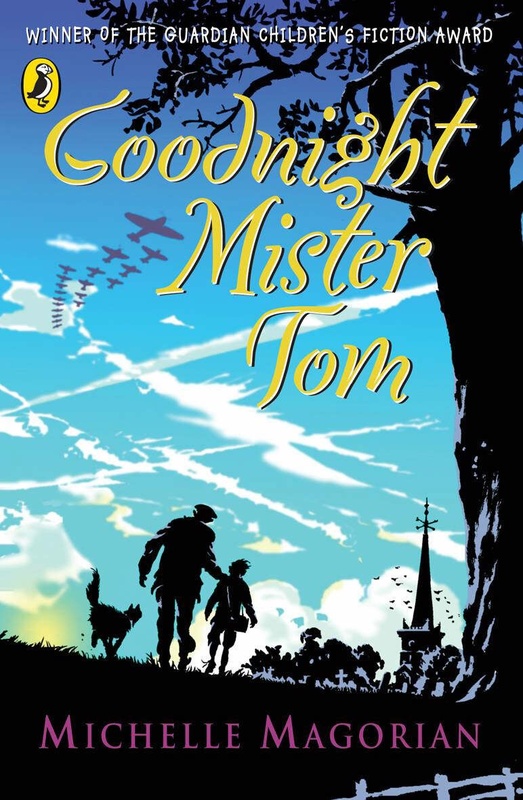 This much-loved classic children’s book describes the fantasy world that four WW2 evacuees enter and echos the war going on in the real world through their battles against evil. Good, as in all decent children’s books of this type, triumphs. 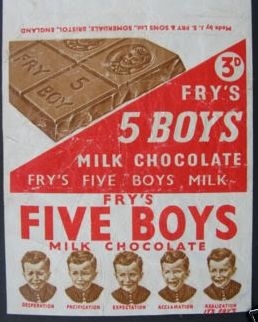 To match this book I’m choosing Fry’s Five Boys chocolate. Although this is no longer for sale, I remember it so well from my childhood, I feel it’s a good match for my vivid memory of the book. Another book recounting the life of a WW2 evacuee. 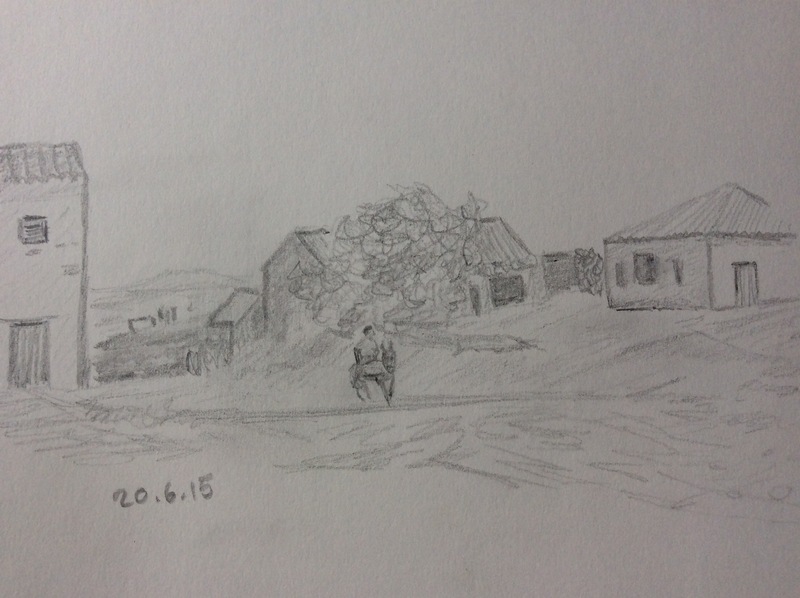 This time firmly set in the very real world that William, the main character, finds himself in. Pulled away from an abusive home life, William finds himself placed in the home of widower, Tom. Initially reluctant to become a carer for the child, Tom quickly realises how much the boy needs him. The very moving story is about the growing bond between the two, friendships made and lost and William’s agony at returning to stay with his mother for a while before being rescued by Mr Tom. I’ve read this book many times to classes of children over the years and every time I have to warn them in advance that I’m likely to shed a tear or two. To match this book I’ve chosen Cadbury’s Dairy Milk. 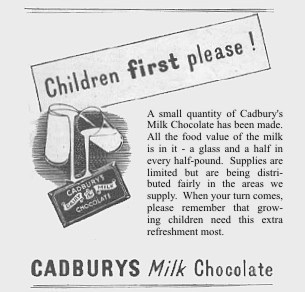 Available on rationing during WWII, and advertised as having a glass and a half of milk in every half pound, I’m sure Mr Tom would have done his best to get hold of some for William! I have no idea why, but in North America this book is known as The Golden Compass. 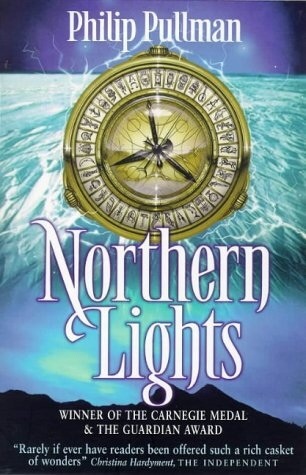 This first book of the YA epic series, His Dark Materials, was introduced to me by my daughter who was working in a children’s book shop in Cambridge at the time. It’s another fantasy book set in a parallel universe to our own, but more than that, this book has a message so powerful it even upset the Pope! It features the journey of a girl called Lyra to the Arctic in search of her missing friend, Roger, and her imprisoned uncle, Lord Asriel, who has been conducting experiments with a mysterious substance known as “Dust”. Choosing chocolate to match this book proved difficult, but as it was a story of someone heading into a very cold region, it reminded me of white chocolate. 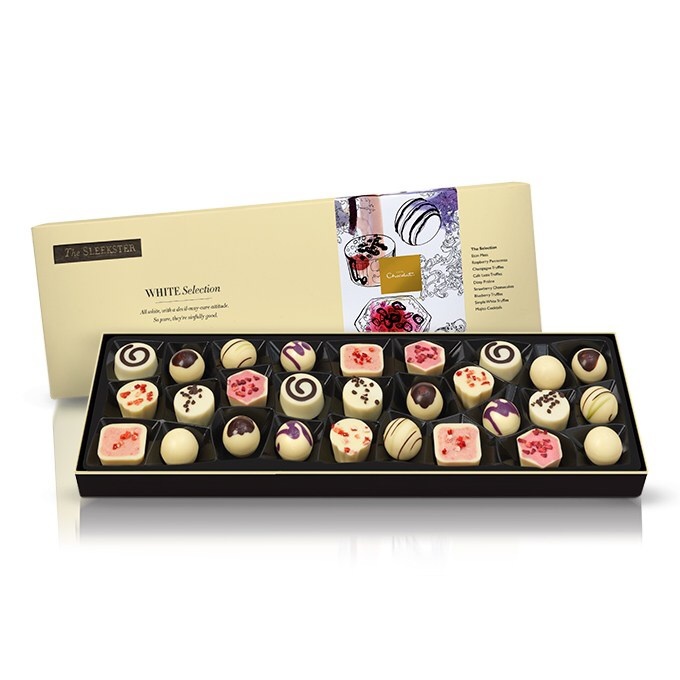 I present you with Hotel Chocolat’s Sleekster White Selection. 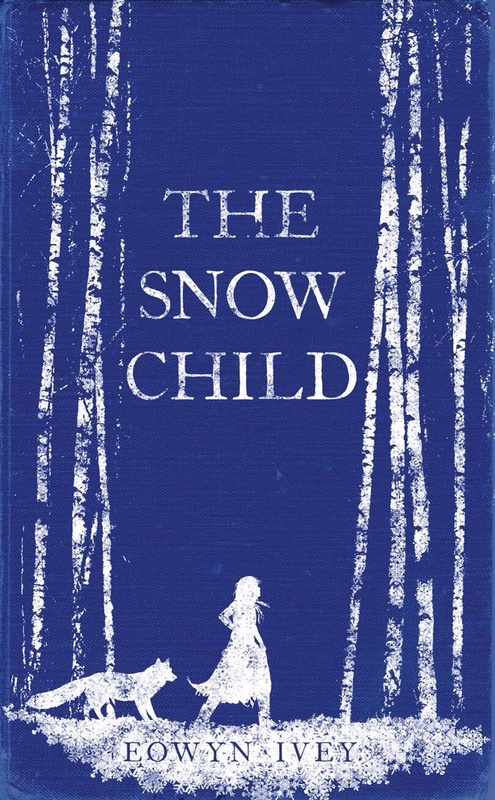 Set in Alaska, this is an adult fairy tale based on a traditional Russian folk tale, Little Daughter of the Snow. It tells of a couple unable to have children. One day the wife, Mabel, makes a child out of snow and the very next day the snow child has disappeared leaving a set of footprints leading away from where it stood. It’s a magical story, but please don’t make the mistake of thinking that this version might be suitable for children; it isn’t. 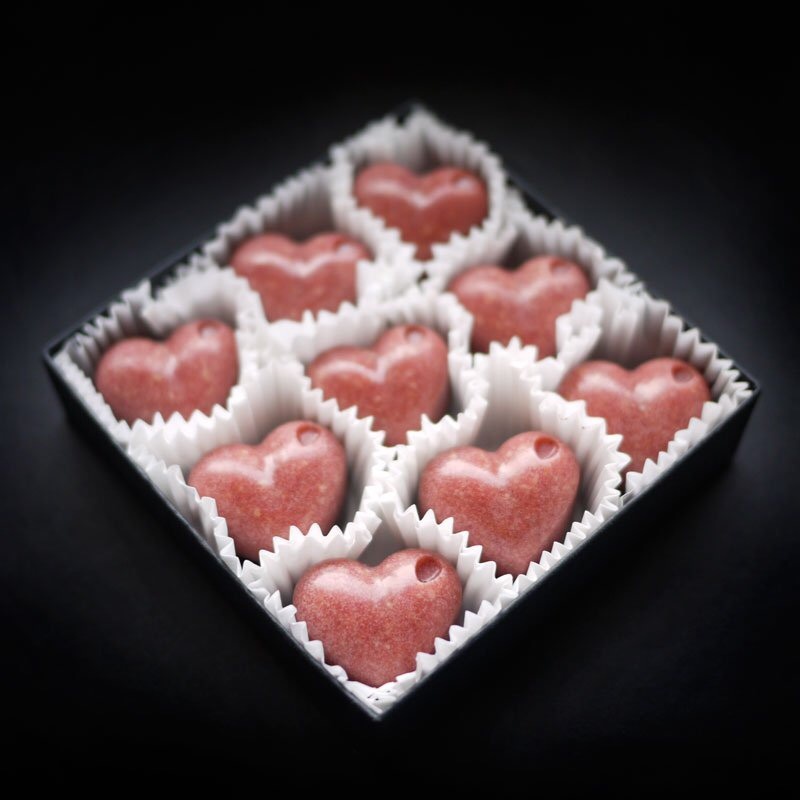 This is a story of love and hope, so to match it I have found these raw chocolate strawberry and pink peppercorn hearts from the Magic Chocolate Company. 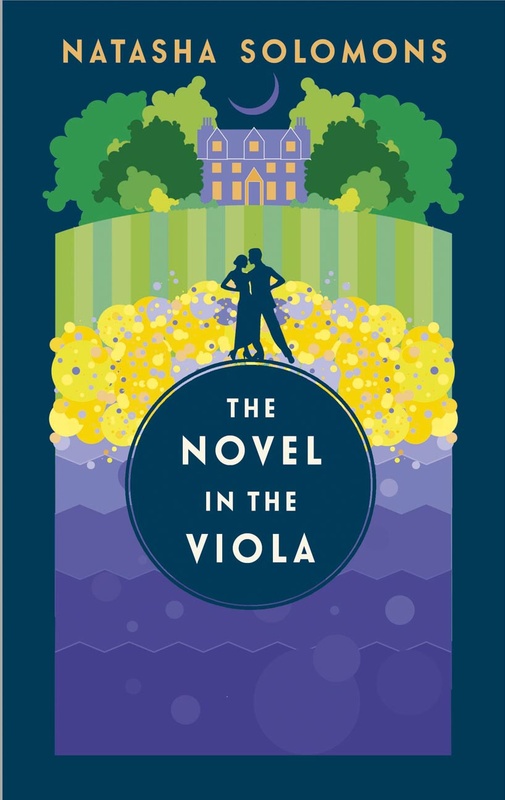 This beautifully written second novel from Natasha Solomons, whose first was Mr Rosenbloom’s List, is set in Dorset and tells the story of a young Austrian Jew from a wealthy family who flees her home country shortly before the start of WW2. She goes to work as a maid in a country home and it tells of how she adapts to her new life. It is a moving story with wonderful descriptions of English country life in the 1930s. 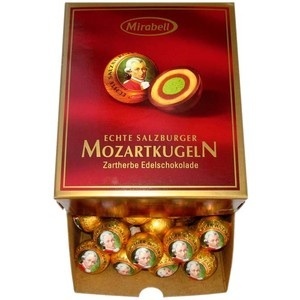 In my mind the perfect match for this book are the delicious Mozartkugeln, chocolate balls (in some cases still hand-made) from Austria. 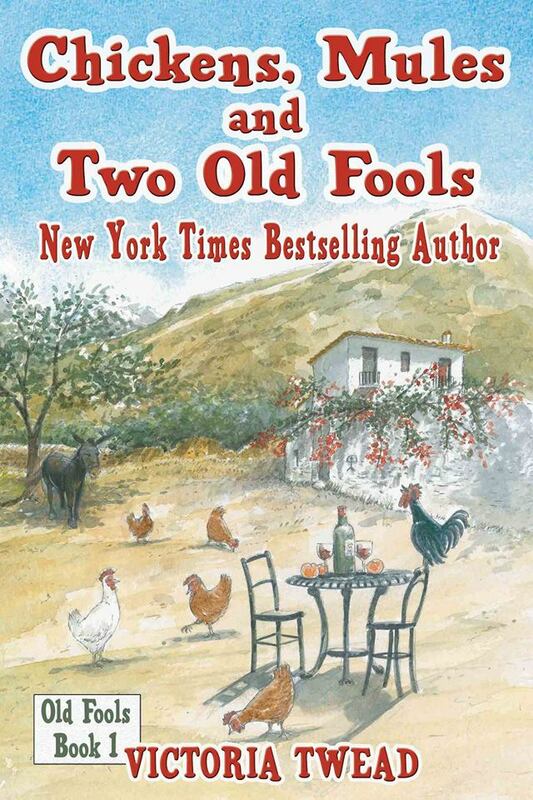 This book, the first of the Two Old Fools series, is a light and lovely memoir about when Victoria, a former teacher, and her husband moved to a little village in the mountains in Andalucia. If you need something that will make you chuckle, as well as green with envy for the life she now leads, this is the book for you! I first read this book in 2011 and have since gone on to read the others in the series. However, I have chosen this book for the very simple reason that the author has had a profound influence on my life. Three years ago she was just the author of a book I read but today she is my publisher and responsible for bringing Agnil’s Worlds into public view. I happen to know that Victoria is rather partial to McVities’ Chocolate Hobnob biscuits. Even if biscuits aren’t allowed, it’s my blog and I’ll have chocolate biscuits if I want to! I am passing the baton to Sandra Stoner Mitchell, the author of Hedgerow Capers which is all about a group of friends who live in Hedgerow Village. Just like children, they have lots of fun playing and making things and getting up to all sorts of capers. You can find her web site here. Look out for her chocolate book blog tour post the week beginning 28th June.